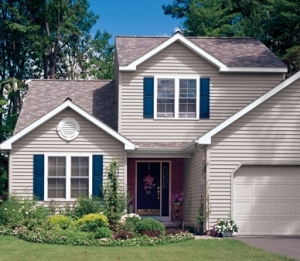 Protect your most valued investment with new installed siding. Fall and Winter elements are hard on your home, don’t put off these needed upgrades any longer….call today for your free in home estimate! See our specials page for sale details or call us at 314-298-7300. Office hours 8-4:30 M-F OUR KITCHEN AND BATH AREAS IN OUR SHOWROOM ARE CURRENTLY BEING REMODELED, EXTERIOR PRODUCTS ARE AVAILABLE FOR VIEWING. 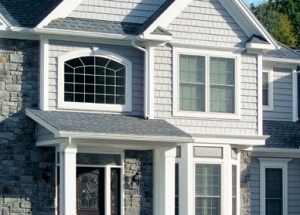 Dalco offers vinyl and composite siding. Reduce your maintenance, save energy and increase the overall value of your home. A wide selection of colors and styles are available. Click the logo link to “Alside” and view all the options available in quality siding. Siding with exclusive Rigid Lock with tongue-and-groove design means panels stack firmly and lock in place with a tight, secure connection. Traditional siding is no match for this insulated siding system. 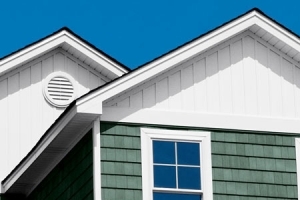 Exceptional protection against energy loss, our siding delivers outstanding all weather protection using the thickest EPS foam available and industry leading R-value. Siding designed to expertly capture the look of wood plank siding in Clapboard; and traditional Double Dutch lap designs. Siding engineered to resist fading, scratching and abrasions; our system is low maintenance…simply rinse with water to restore that freshly painted appearance. Eleven optional custom architectural colors. 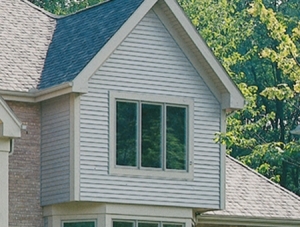 Finish off your siding project with our broad selection of exterior shutters. The provided link at the left will take you to our suppliers web page where you may view your many options and color choices. And….don’t forget to ask about new gutters and gutter guards. Click the Tyvek logo for a link to view the Tyvek catalog and specifications.